Greg Craig, a former White House counsel in the Obama administration, was charged with lying about work he performed in 2012 for Ukraine. 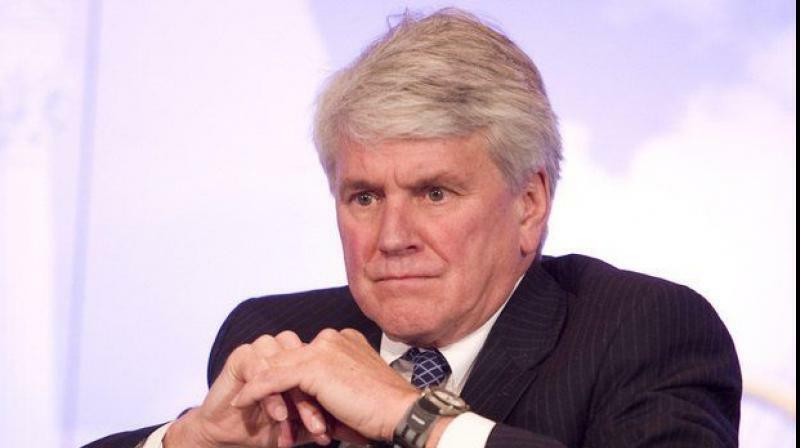 Washington: Greg Craig, a former White House counsel in the Obama administration, was charged on Thursday with lying about work he performed in 2012 for Ukraine in a case that grew out of Special Counsel Robert Mueller's Russia investigation. Craig, 74, faces up to 10 years in prison for charges of making false statements and violating a lobbying law. He is accused of lying to the Justice Department about his work on a 2012 report aimed at justifying the prosecution of a political enemy of Viktor Yanukovych, the Russian-aligned president of Ukraine at the time.Craig's lawyers declined immediate comment. "You are ‘THE MAN’”, he wrote Craig in an email after the report received favourable media coverage, according to the indictment.The report was meant to be an objective review of the Ukrainian government's prosecution of Yulia Tymoshenko, the country's former prime minister who was convicted in 2011 on corruption charges and sentenced to seven years in prison. Yanukovich was one of Manafort's main lobbying clients.According to the indictment, Craig covered up aspects of his work in order to avoid registering as a foreign agent under the Foreign Agents Registration Act, a rarely enforced law that was enacted in 1938 to counter Nazi propaganda. "That would do enormous damage to the credibility" of the report, Craig wrote in an email to other Skadden attorneys, according to the indictment.Craig privately had reservations about Tymoshenko's treatment but left them out of the report, the indictment said. "Evidence of criminal intent - i.e., that she intended to commit a crime - is virtually non-existent," he wrote in a memorandum that was not included in the report, according to the charges.The case stems from Mueller's 22-month investigation into whether Trump's presidential campaign worked with Russia to influence 2016 election. He is expected to release a redacted version of Mueller's final report to Congress next week.